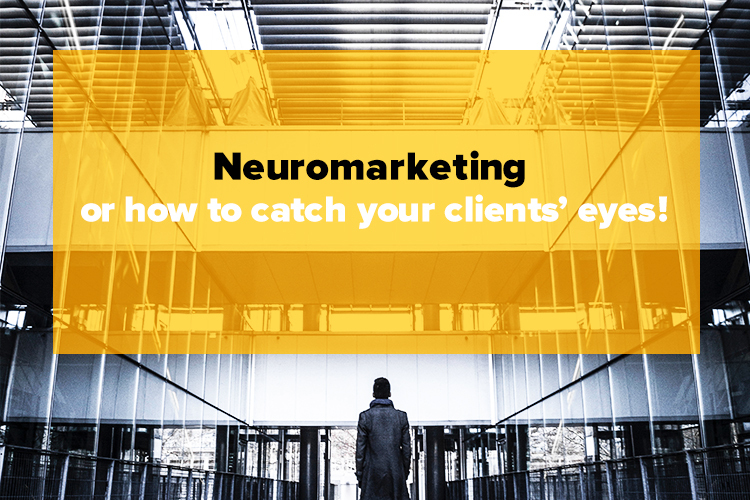 Neuromarketing or how to catch your clients’ eyes! Before social media, your boss may have increased your budget and told you to buy more ads, sponsor additional events, or throw your logo on a bus stop bench, but in today’s world, the biggest challenge for marketers is getting better results while spending less money. How can we solve this challenge? Neuromarketing. Using it, you can rethink your strategies and create smarter marketing that will boost the effectiveness of your efforts. The goal of it is to understand how your customer’s brain actually works and how marketing will affect his or her decisions. Neuromarketing has been around for roughly a decade and only seems to be growing in popularity. Major corporations have used this technology when designing their products, packaging, and advertising campaigns. For years, many of us have been told to “keep it simple”. According to research, consumers truly can be affected by simple vs. complex fonts. Specialists say that if you need to convince a customer to perform some kind of task, you should describe it in a simple, easy to read font. While simplifying your fonts can help consumers take action with instructions, memory recall is boosted with a complex font. This doesn’t mean you should use a complex font for your logo, phone number, or tagline. Use this tactic for important information throughout your web copy only. A complex font will not only be more memorable but grab more attention visually. Researchers found that people will look at what the person in the ad is looking at. So, be sure to direct the face in your ad to look at what you’d like the viewer to focus on. Many marketers rely on stock photography for their website. This can be a quick way to show personality and “humanize” the brand but what should be considered when selecting the best option?